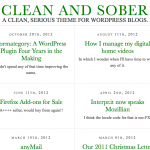 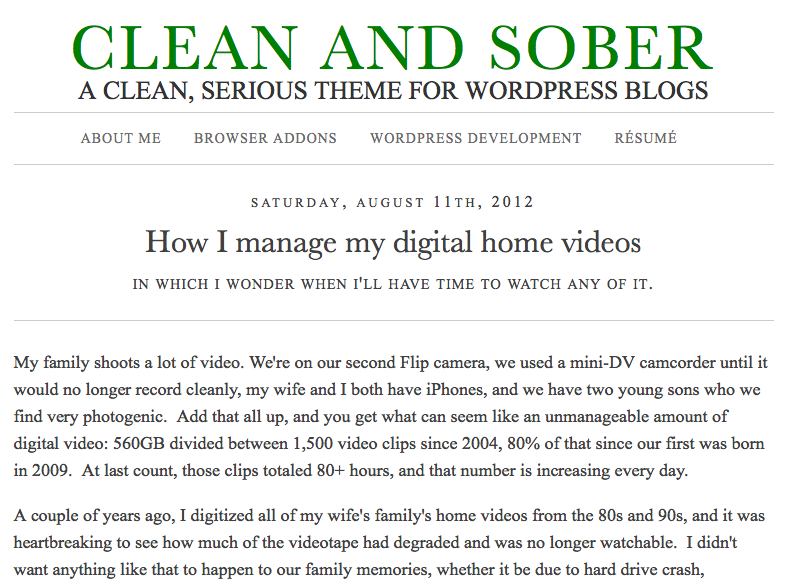 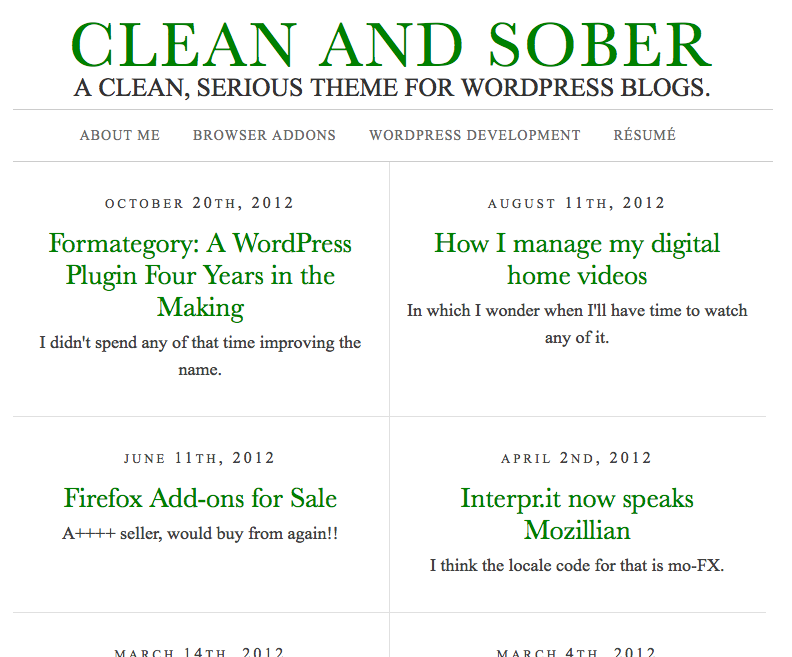 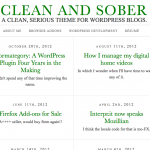 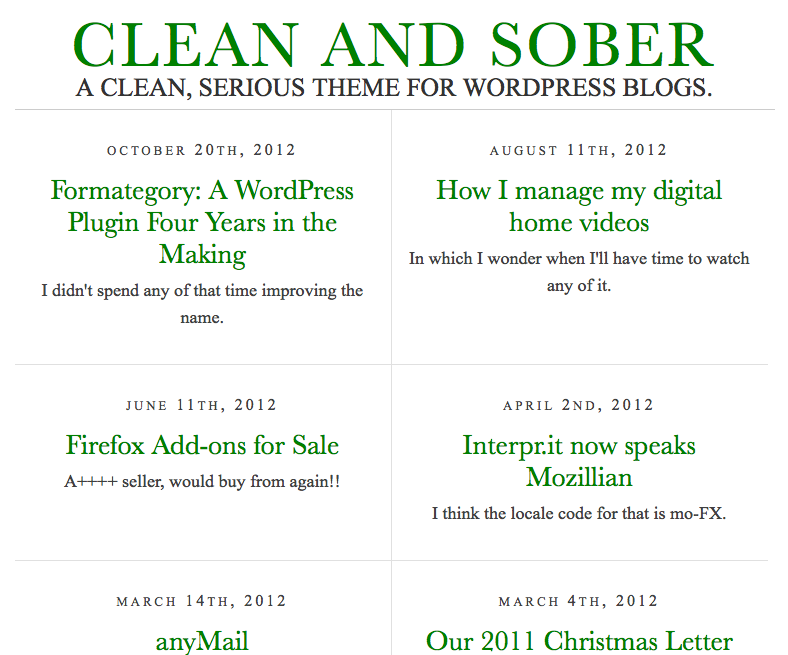 Clean and Sober is a WordPress theme with a sparse, clean look. 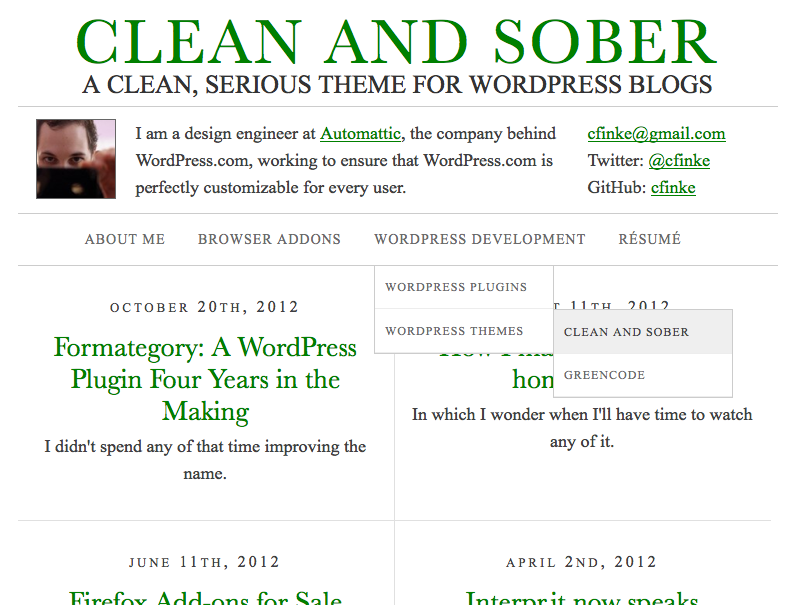 It’s intended for text-heavy blogs. 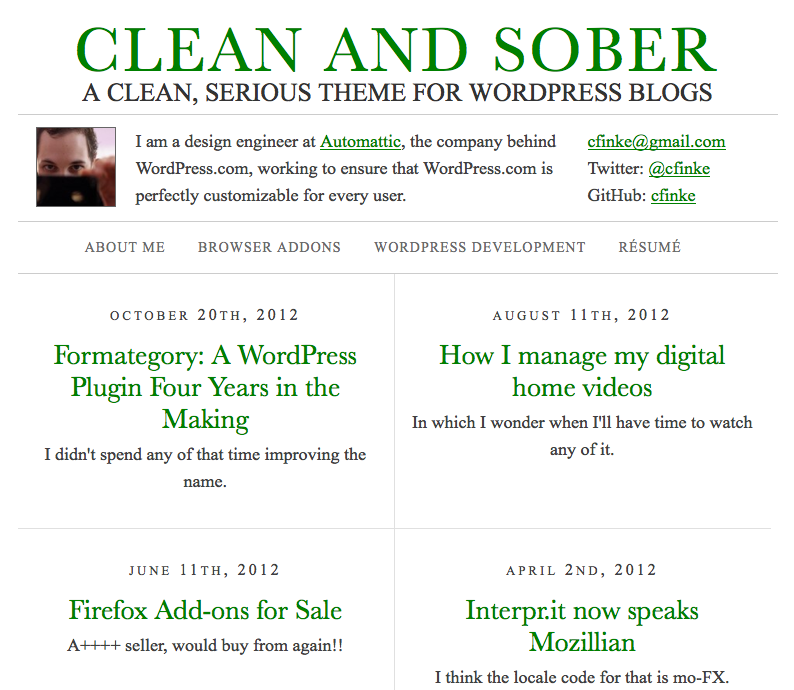 It’s based on the design of Limi.net, circa 2011. 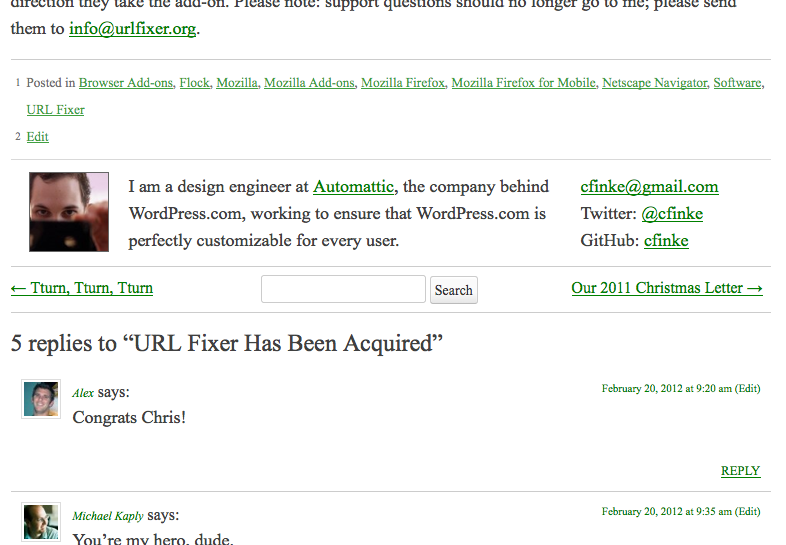 On pages without an author (search results, the homepage, etc. 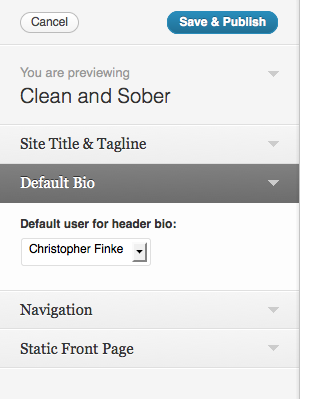 ), you can choose a user to be displayed as the default author. 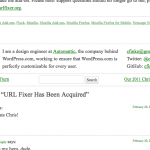 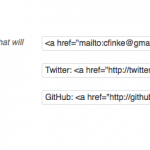 This is handy for single-author blogs that are identified solely with one user. 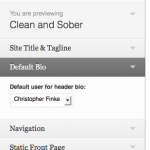 This setting can be changed on either the Appearance » Theme Options or from the theme customizer. 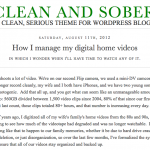 Clean and Sober supports ‘aside,’ ‘image,’, ‘link,’ ‘quote,’ and ‘status’ post types. 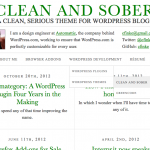 Full theme installation instructions can be found at the official WordPress site, but in short, download the .zip file below and upload it on the Appearance » Install Themes » Upload page in your dashboard. 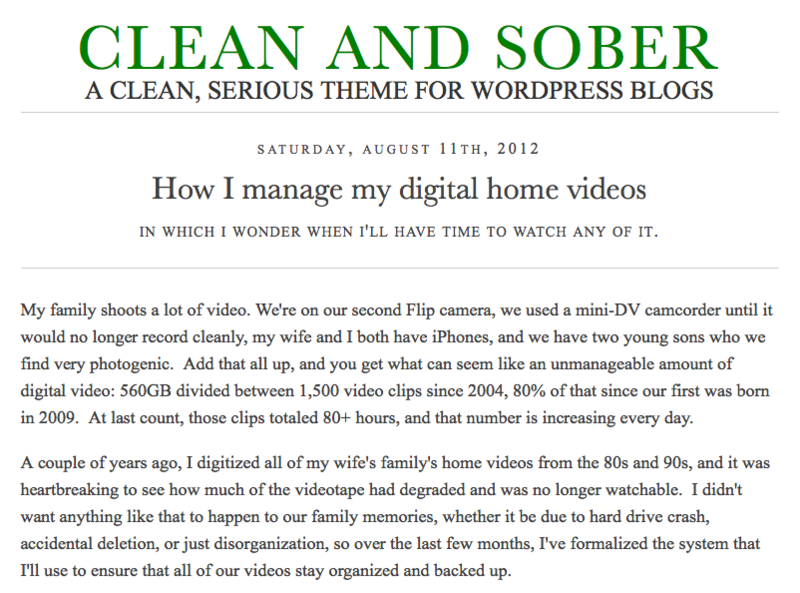 Note: watch the Clean and Sober section of my blog for information on updates to this theme.